As a parent, navigating smartphone usage with your children can be a perilous journey as you hand them that new device they've always wanted, or even your older hand-me-down phone or tablet. Smartphones offer a lot of opportunity and convenience, but not without potential risks and difficulties. It's up to you to educate and decide what strings to attach to keep your young ones safe. One of the tools at your disposal are app trackers that show you which apps your kids spend the most time with. It's information that could prove useful if you're trying to determine what usage they should be restricted to, or if they should even have a smartphone at all. Here's an easy to app you should use to get the information you need. Other phone manufacturers include features designed specifically for use by children, like Kids Mode on the Samsung Galaxy S5, but you currently won't find any such features on a Nexus. 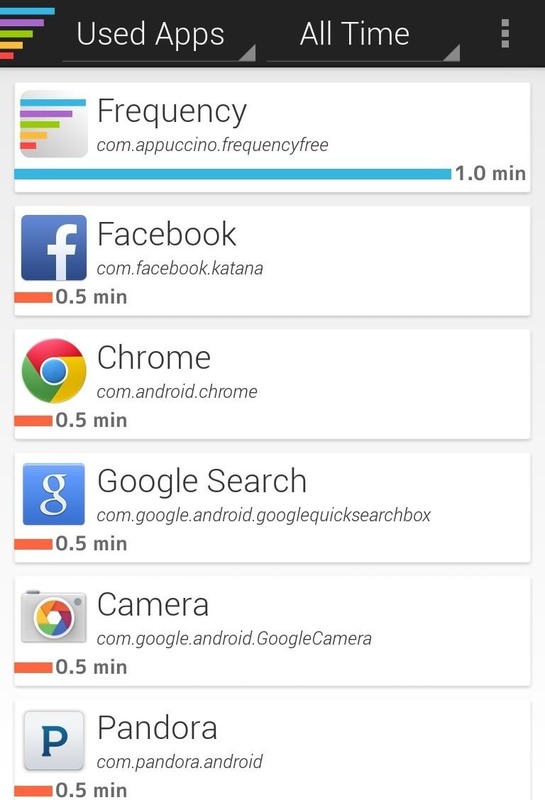 Installing Frequency: App Usage Tracking, by Waylon Brown, is a step in the right direction. Setting up Frequency is as simple as it gets. After you download it, just open it up, and it'll start doing everything it's supposed to. It runs in the background and tracks which apps you use and how long you use them. If you like, you can head over to settings and check the box for Run at startup, so that you never have to manually open the app. 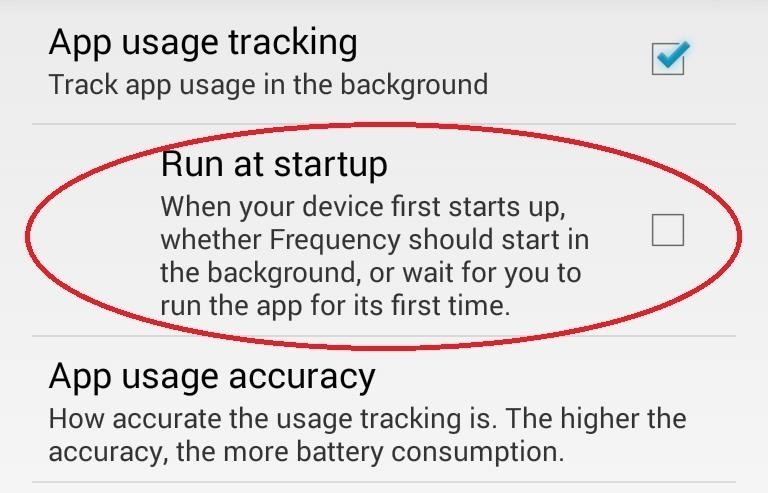 If you want Frequency to stop tracking, just uncheck App usage tracking in settings. 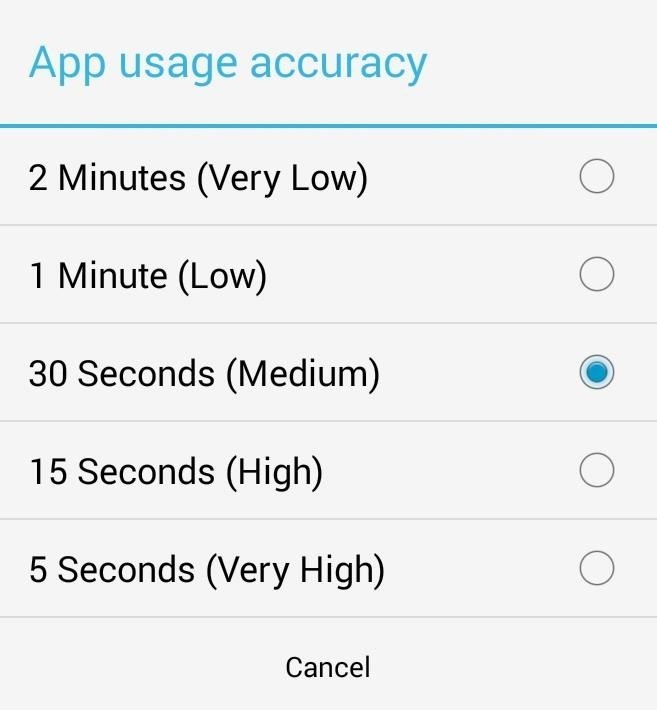 You can also decide how accurate the tracking is by selecting App usage accuracy and adjust how often Frequency checks in on things; from 2 minutes to 5 seconds. In theory, less checking means less of a drain on battery life, but in my testing, even higher accuracy wasn't enough to make Frequency even show up on the battery usage meter. Frequency starts tracking right away and lays everything out for you in a clean and easy-to-read interface. The most used apps are at the top with bars and readouts that mark how much time has been spent in each. 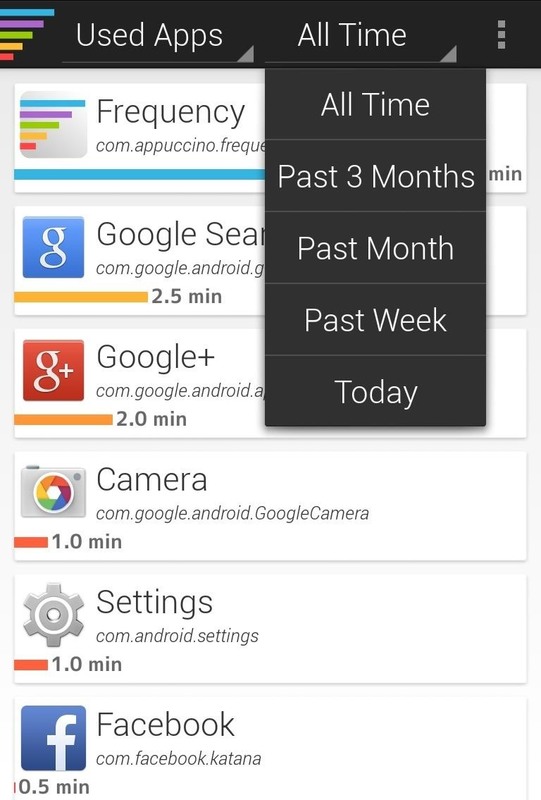 You can filter apps by most used via all time, the past three months, past month, past week, or 24 hours. There's not a whole lot else going on here. Install it, open it, and forget it until you need it. Frequency is just one tool you can use to take a more hands-on approach to monitor your child's smartphone usage. You have other options as well. For example, you could always enable multiple users on your Nexus, create a guest profile, then limit which apps are available for use. Technology is rad, and it makes sense that kids would want to be as hooked in as us, but there's nothing wrong with being proactive about what they can and can't do. Sound off about which method you like to use in the comments below. As I'm sure a lot of us know, not all parental control apps are created the same. I have tried several of the parenting control apps and through trial and error, for the longest time could not find the right app for me. I finally found a wonderful parental control app that does everything I need and is extremely user-friendly. I now use Familoop Safeguard for Android- https://www.familoop.com/ . I manage all my protection settings and feature restrictions right from my Android devices. I only need internet connection to get my restrictions applied to all my devices that my son has access. It's great because it filters web pages, blocks apps, collects information about visited and blocked websites for my review. I highly recommend this great parental control app!